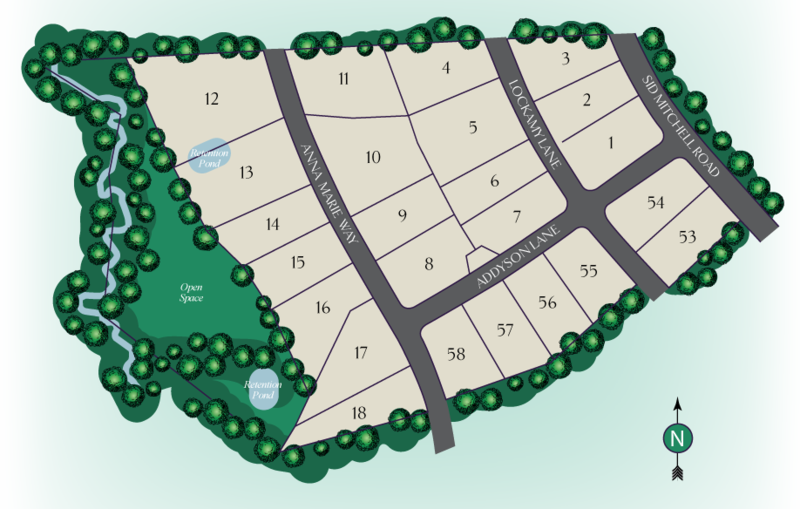 Addyson at Holden Road features new homes on wooded home-sites in the charmingly quaint town of Youngsville. Youngsville is a growing town in southwestern Franklin County that offers rural charm within close proximity to the Triangle region. Addyson at Holden Road boasts spacious new home sites from .6 to 1-acre priced from the upper $300’s. Enjoy the country setting while still minutes from shopping, grocery stores, dining and movie theater. The community is conveniently located near US-1 for easy access to Wake Forest, Raleigh, Franklinton, and Louisburg. From the intersection of US-1 and Holden Road in Youngsville, take Holden Road. West for 1.2 miles. Turn Right onto Sid Mitchell Rd. Go .4 miles and Addyson at Holden Road will be on the Left.